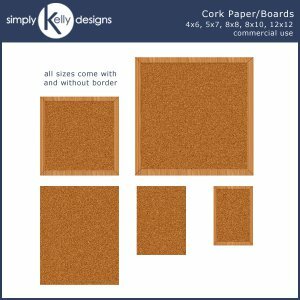 The commercial use Cork Paper/Boards by Simply Kelly Designs is extremely versatile. The cork comes in 5 sizes - 4x6, 5x7, 8x8, 8x10 and 12x12 inches. Each size has cork with or without a wooden border.